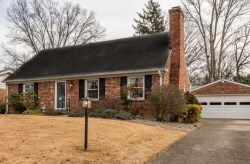 If you like Cape Cod style living in real estate Louisville we have just the home for you. 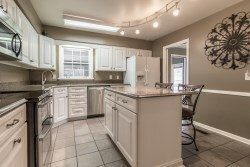 1601 Clearview Drive is a 3 bedroom, 2 bathroom, 3,086 Sq Ft Cape Cod style home. This multi-story home has large and cozy rooms. 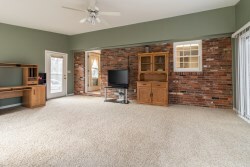 The large living room features a fire place and poses a welcoming invite to guests coming through the front door entryway. 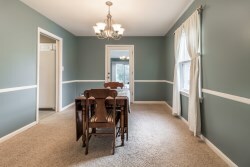 A formal dining area leads off this front lounge and into the kitchen and a large Florida room. 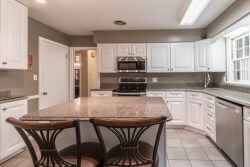 The eat-in kitchen has Corian counter tops, stainless steel appliances, and an island with breakfast bar. The Florida room is filled with natural light due to the two large sliding glass doors which look out to the back porch and back yard. 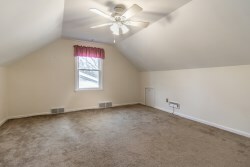 This great first floor also includes a full bathroom, walk in closet, laundry, and bedroom. 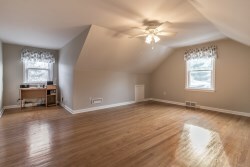 On the second level there are two large bedrooms, one with hardwood floors. A good bathroom completes this level. The basement offers a large office space with storage and a bar/entertainment area. Behind these two rooms is the unfinished part of the basement. This large space is provides great storage and could be a great place for tools and work benches. 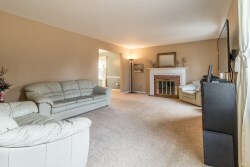 If you love having family and friends over this home is perfect for you. 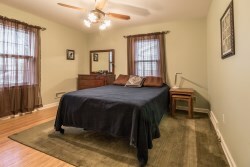 Location is important in any real estate investment so you will be pleased to know this home is situated close to Westport Village and I-264 and is situated in the desired Devondale subdivision. 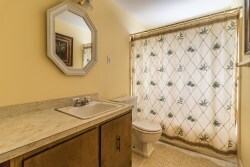 Please contact Scott Boehnlein of Family Realty if you have any questions or to arrange a private viewing of this home.